There are a massive amount of books I want to read. I’ve been trying to make a list of books that I want to get to the most, which is actually very hard. I managed to make a list of books that keep coming up and I’ve gotten very interested in. What I want to do here, is name a couple of the books that are on that list. The ones that I want to read 100% certainly this year. These are newer books that I read a lot about, but also some books that I’ve kept putting off. Mainly because other books came up or I didn’t feel in the mood for them. Here we go. Synopsis: It is 1942 in Holland and the Germans have invaded. All Jewish people are frightened for their lives, so the Frank family hide. Life is dangerous but they hope for the best – until they are finally discovered. 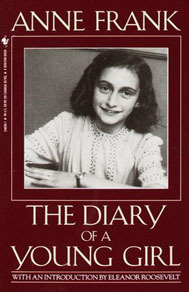 Anne Frank was a real person, and this is her diary. I actually feel a little ashamed I never read it. I’m Dutch and I feel like every Dutch person should at least have read this in high school. I’ve been wanting to read this for so long, but never got to it. One of the reasons is because I’m sure this is going to be a very sad story and it will surely leave an impression on me. I want to read this before may, the fourth of may being the remembrance of the Death since the Second World War in the Netherlands. Synopsis: Maycomb, Alabama. 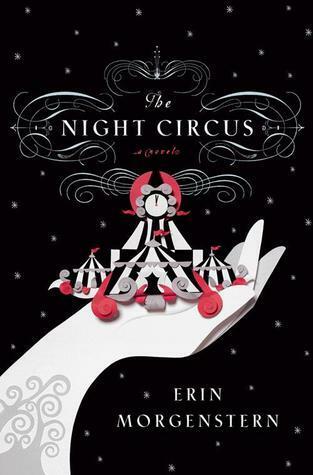 Twenty-six-year-old Jean Louise Finch–“Scout”–returns home from New York City to visit her aging father, Atticus. Set against the backdrop of the civil rights tensions and political turmoil that were transforming the South, Jean Louise’s homecoming turns bittersweet when she learns disturbing truths about her close-knit family, the town and the people dearest to her. Memories from her childhood flood back, and her values and assumptions are thrown into doubt. This book I’ve been wanting to read since I’ve gotten my hands on To Kill a Mockingbirg. 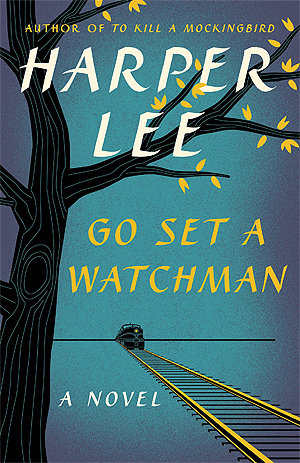 I loved that book and I wanted to read more of Harper Lee since that book. Since this book has been on my to-read list for a long time, I think I should get to it this year. Synopsis: Born in the “agrarian ghetto” of Dickens—on the southern outskirts of Los Angeles—the narrator of The Sellout resigns himself to the fate of lower-middle-class Californians: “I’d die in the same bedroom I’d grown up in, looking up at the cracks in the stucco ceiling that’ve been there since ’68 quake.” Raised by a single father, a controversial sociologist, he spent his childhood as the subject in racially charged psychological studies. He is led to believe that his father’s pioneering work will result in a memoir that will solve his family’s financial woes. But when his father is killed in a police shoot-out, he realizes there never was a memoir. All that’s left is the bill for a drive-thru funeral.Fuelled by this deceit and the general disrepair of his hometown, the narrator sets out to right another wrong: Dickens has literally been removed from the map to save California from further embarrassment. 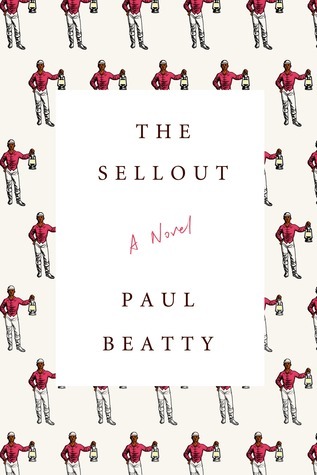 Enlisting the help of the town’s most famous resident—the last surviving Little Rascal, Hominy Jenkins—he initiates the most outrageous action conceivable: reinstating slavery and segregating the local high school, which lands him in the Supreme Court. Every time I see this book, it attracts me. The fact that it won the Man Booker Prize made me want to read it even more. I’m a big fan of the Man Booker Prize, because I manage to like a lot of the books that win and get nominated. From the beginning when I started reading a lot I saw this book. I hear a lot of good things about it, and that made me very interested in the book. Synopsis: Toru, a quiet and preternaturally serious young college student in Tokyo, is devoted to Naoko, a beautiful and introspective young woman, but their mutual passion is marked by the tragic death of their best friend years before. Toru begins to adapt to campus life and the loneliness and isolation he faces there, but Naoko finds the pressures and responsibilities of life unbearable. As she retreats further into her own world, Toru finds himself reaching out to others and drawn to a fiercely independent and sexually liberated young woman. Murakami is a writer who got my interest. Everytime I see a book of him, I see a lot of great ratings and opinions about the books. 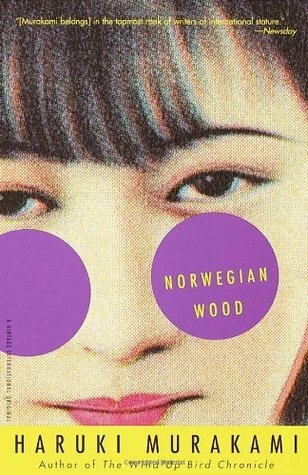 Norwegian wood, 1Q84, and Kafka on the Shore are books of him I want to read badly. These are 5 of the books that I want to read this year. Books that I wanted to read for a long time, but also books I have discovered not so long ago. What do you think of these? Are there any you want to read as well? Let me know!